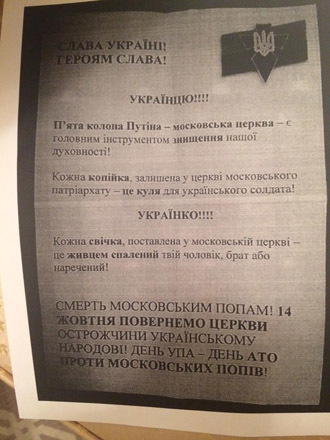 A leaflet with threats, obtained by RT, calls for “deaths to Moscow priests” on October 14. “For every Ukrainian soldier killed in Crimea, one priest from Moscow Patriarchate will be killed. Blood for blood,” states the flier. As the fliers have been widely distributed, the Security Service of Ukraine has issued a warning, saying that citizens should not “fall for this primitive provocation.” Some Ukrainian mass media went as far as saying that “Russian special forces” were behind the distribution of the leaflets. 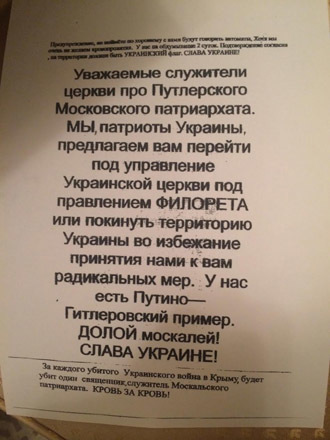 A leaflet with threats, obtained by RT, warning a church that “radical measures” will be used if there is resistance to the transfer to Kiev’s Patriarchate. 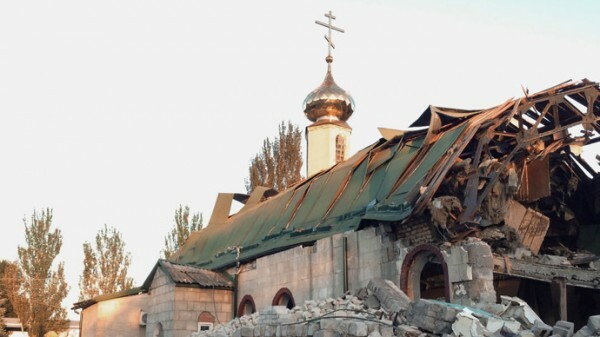 However, calls for targeting and occupying “rival”churches had already been voiced by radical activists over the course of the Ukrainian crisis.